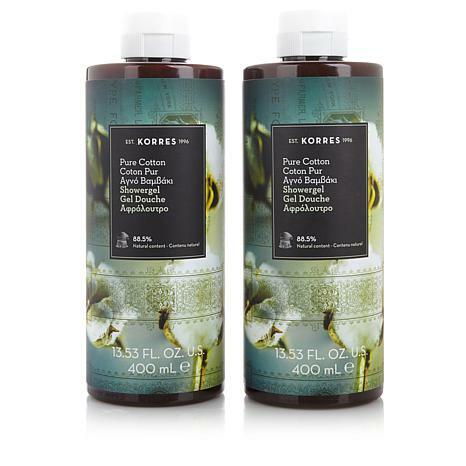 Wrap your senses in the clean, crisp scent of cotton with this luxurious shower gel duo. Containing emollients and humectants, the cleansing formula nourishes your skin with moisture, leaving it feeling soft. Let a little pampering help you make a fresh start every day. Ingredients: Aqua/Water/Eau, Sodium Laureth Sulfate, Cocamidopropyl Betaine, Sodium Cocoyl Isethionate, Coco-Glucoside, Glyceryl Oleate, Parfum/Fragrance, Aloe Barbadensis Leaf Juice, Arginine, Benzyl, Alcohol, Castoryl Maleate, Coumarin, Guar Hydroxypropyltrimonium Chloride, Hydrolyzed Wheat Gluten, Imidazolidinyl Urea, Lactic Acid, Limonene, Linalool, Phenoxyethanol, Polyquaternium-7, Potassium Sorbate, Sodium Chloride, Sodium Dehydroacetate, Sodium Gluconate, Tocopherol. Lovely fragrance and not overbearing. Leaves skin soft and moisturized. Shower gel has gentle aroma of grapes, after trying a few other products I like this one best. If I use it with lotion it really hydrates skin and I feel really clean and hydrated without heavy aroma. Love the smell and let me tell you if you have maturing skin this is for you! I threw all my Bath and body works away!! 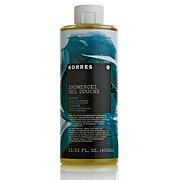 I love Korres products. They leave your skin so hydrated and silky soft. The scents are wonderful, light and not overpowering. 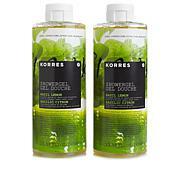 I have used Korres shower gel for probably a year or more. Before using it my skin was itchy, dry, and was irritated. Now that I use Korres my skin is none of those things. Don't get me wrong I still use a moisturizer but before using Korres no moisturizer was enough. I love this stuff and will never use anything else as long as I can buy it. As a bonus it smells great and lathers really well. It lasts a long time because you only need a small amount.